Skye Gravestones | Donald & Ann (Stewart) Macdonald & family. Donald & Ann (Stewart) Macdonald & family. 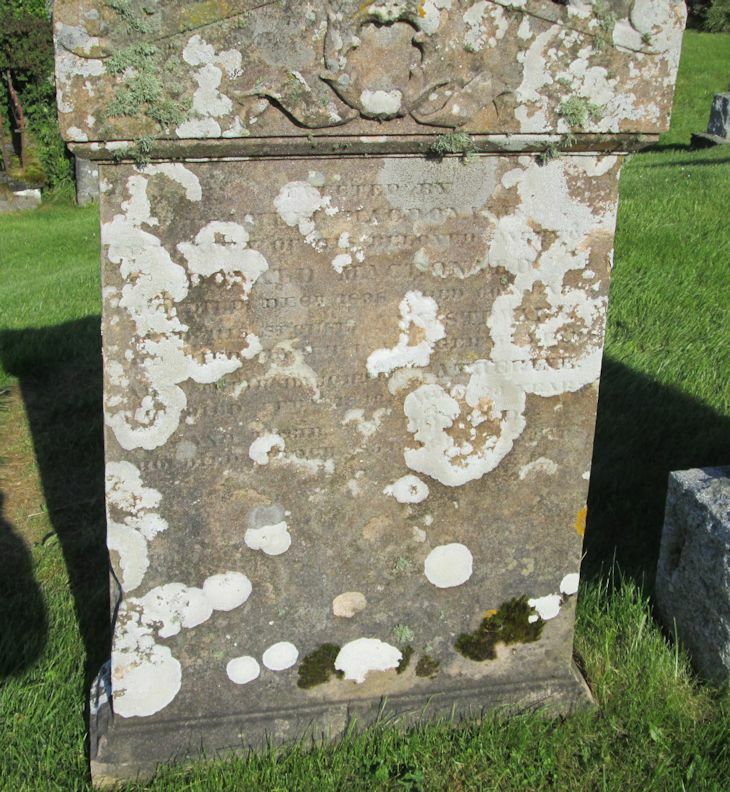 Erected by/SAMUEL MACDONALD/in memory of his beloved father/DONALD MACDONALD/who died Decr. 1838 aged 60 years/and his spouse ANN STEWART/who died March 18[.? ]7 aged [.? ]2 years/and their daughter CATHERINE/who died Feby 1842 aged 22 years/and their son DONALD/who died March 1854 aged 25 years.